Installing a pool is just the first step. Now it’s time to round out your outdoor living space. The best furniture and décor makes entertaining fun and cleanup easy after spending all day outside. 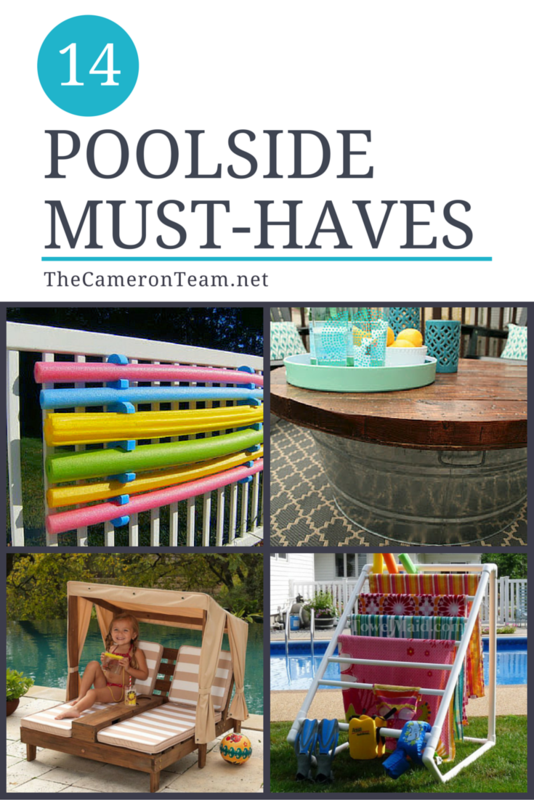 There’s a lot you can do and many options to choose from depending on your lifestyle, but we decided to share some of our poolside must-haves to help inspire your own creativity. 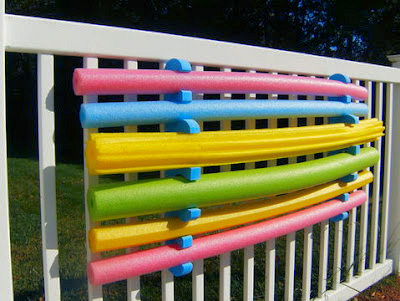 Keep those light, flimsy pool noodles from blowing away and in an easy-to-grab spot with this noodle rack. Inflatables can be difficult to wrangle. The Pool Pouch from Water Tech makes it easy. It stretches, so you can fit in everything from rafts to beach balls to animal rings. Have an old jelly cabinet? 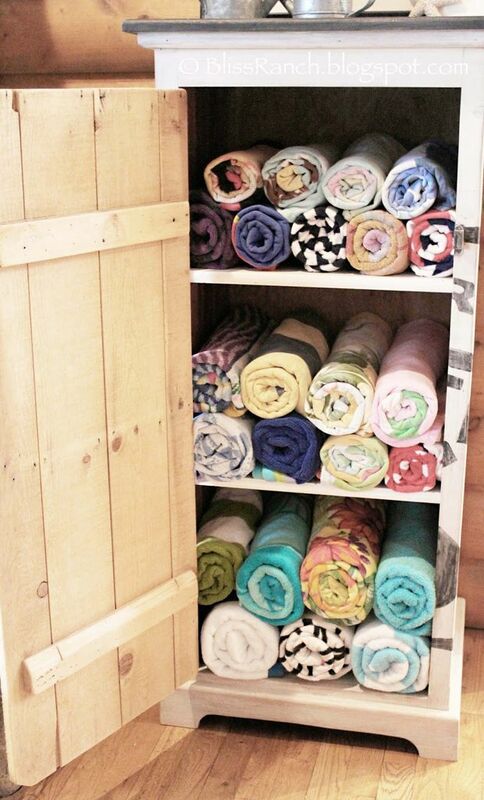 Transform it into a poolside towel cabinet! Need some inspiration? 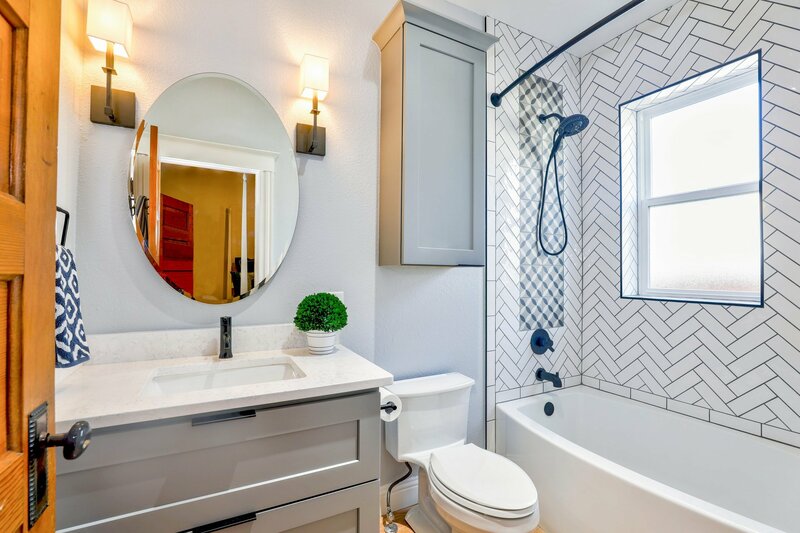 Here’s a completed project from Bliss Ranch. 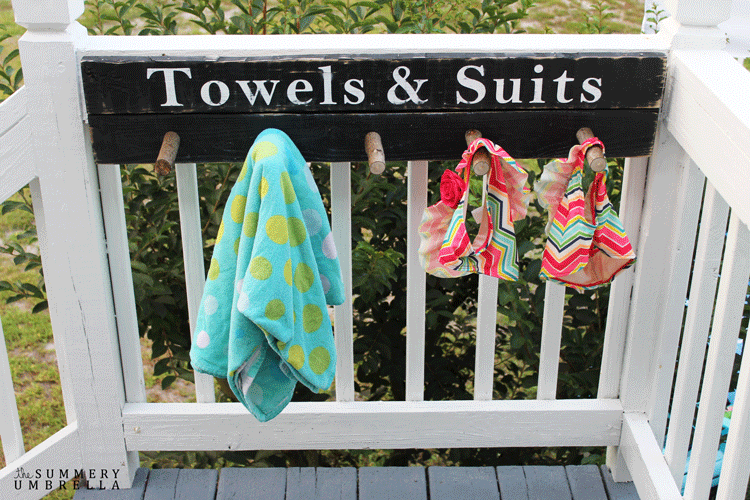 This easy DIY sign and rack from The Summery Umbrella is the perfect drop-off point for wet bathing suits and towels. Full instructions for making it can be found on their blog. Need a large rack for drying towels and other gear? 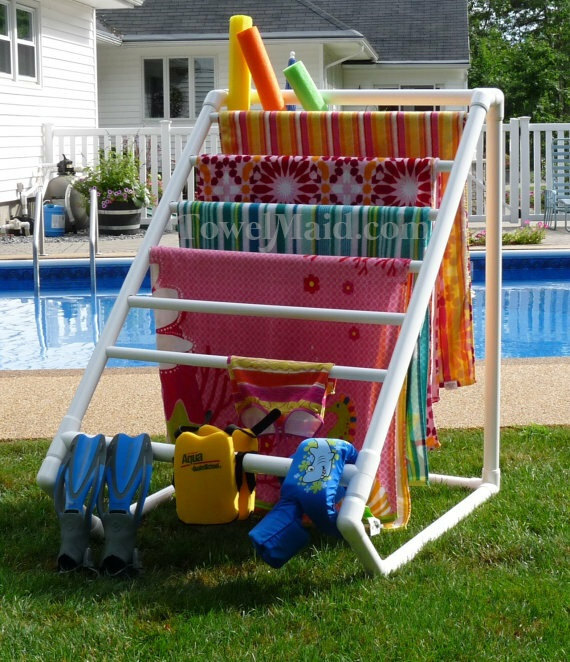 This PVC towel rack is perfect for keeping towels off the fence and poolside furniture. This is a DIY project and you can get the plans from TowelMaid on Etsy. 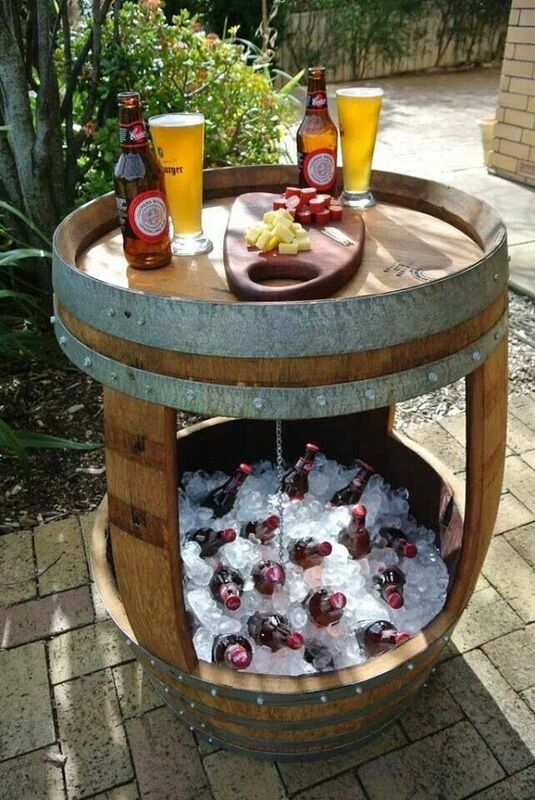 If you can get your hands on a wine barrel, this is an incredibly easy way to make a poolside cooler and table. You’ll just need to do some cutting, install some reinforcement, and prepare the finished for outdoor weather. 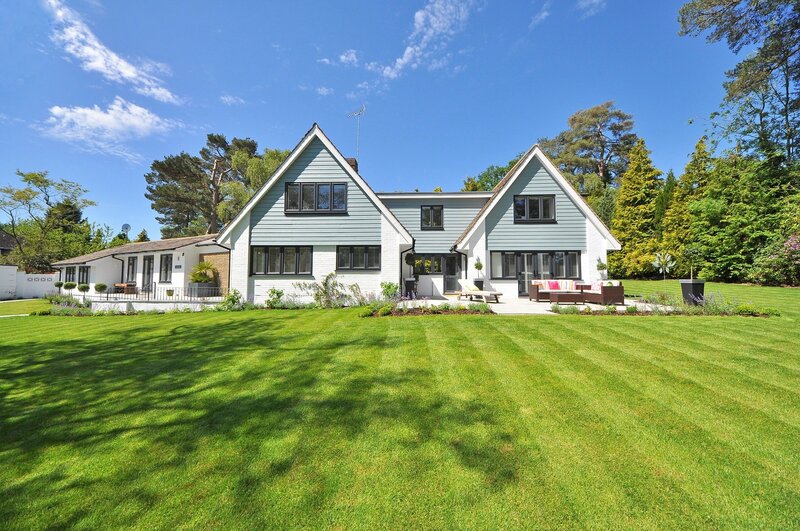 You can see one way to do it at Better Homes and Gardens. 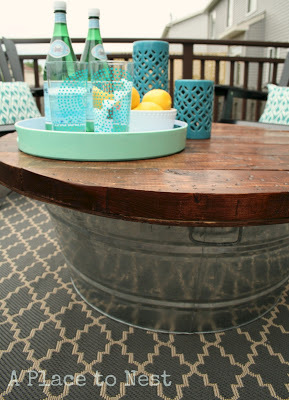 I love furniture that doubles as storage and this metal bucket coffee table does just that. 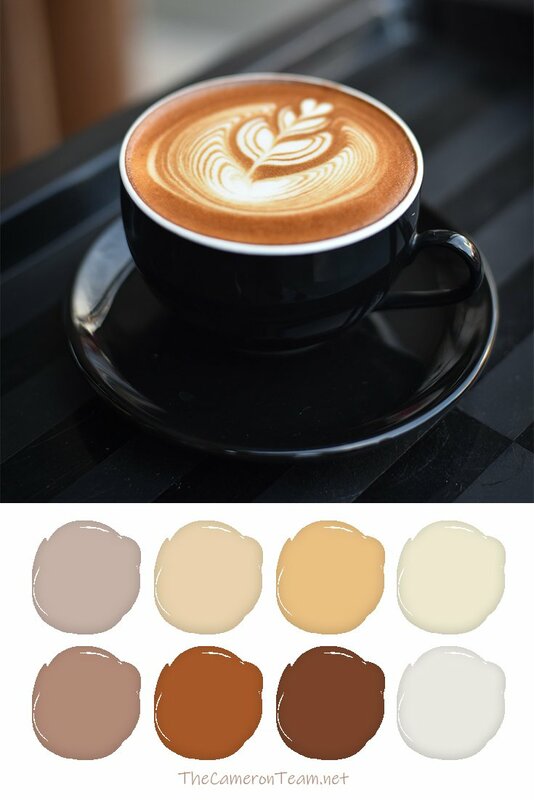 The tutorial from Melissa of A Place to Nest (shared on Remodelaholic) shows step-by-step how to create it. Melissa secures the top of the table to the base, but if you want to use the interior for storage look at the comments to find out how. Also, an extra hole and some gravel or sand inside could make this table double as an umbrella stand. Just use your imagination and your needs will be met. 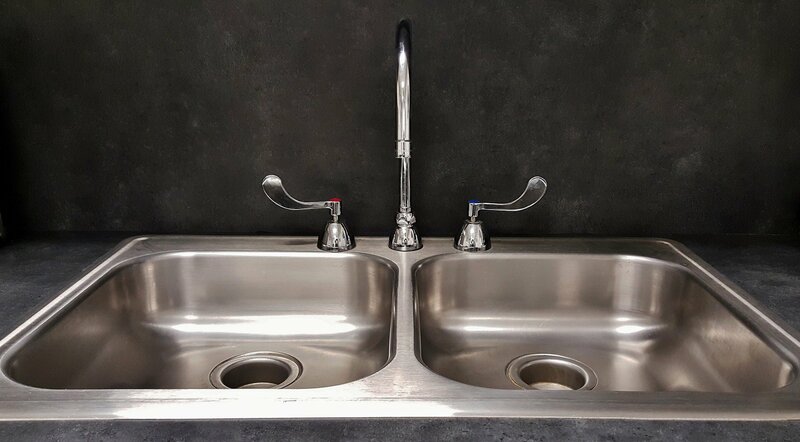 Lacking space? 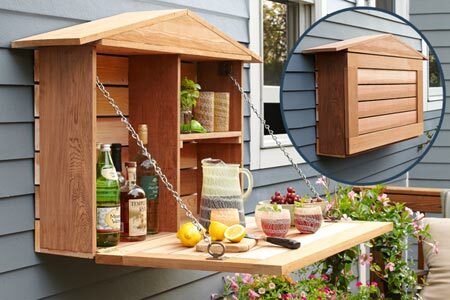 This Old House has put together a neat project called a Murphy Bar. Folded up and hung on an exterior wall, it looks like a cabinet. 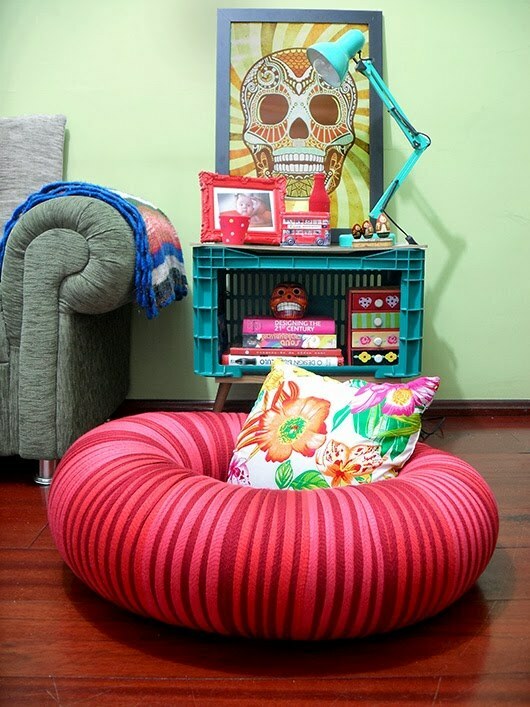 Folded down, it becomes a table and organizer. It’s safe to handle food on and weather resistant. It goes without saying that you need a comfortable place to sit poolside. Amy Baesler at Remodelaholic shared FREE plans for making these comfy DIY loungers that are not only adjustable, but also have a storage area inside. Very convenient for keeping all your pool stuff in one place! 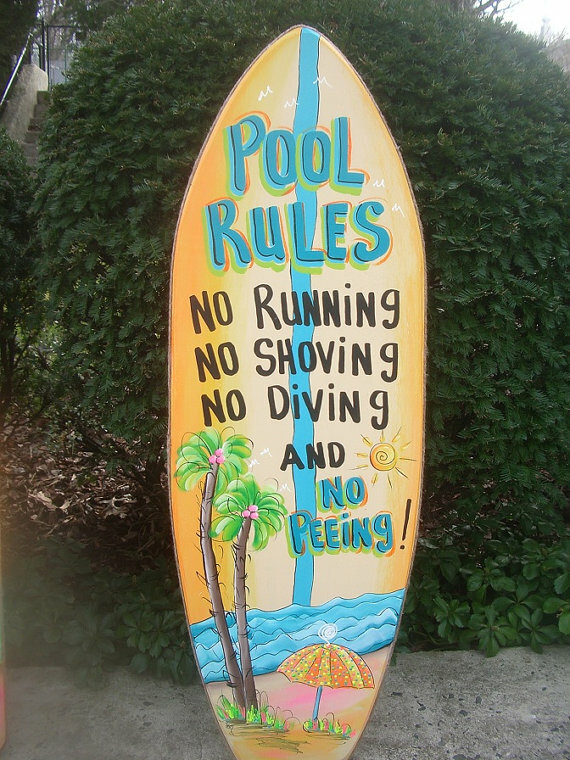 Then again, if you’re like me, you’re just trying to find a comfortable spot for reading and soaking up some rays. 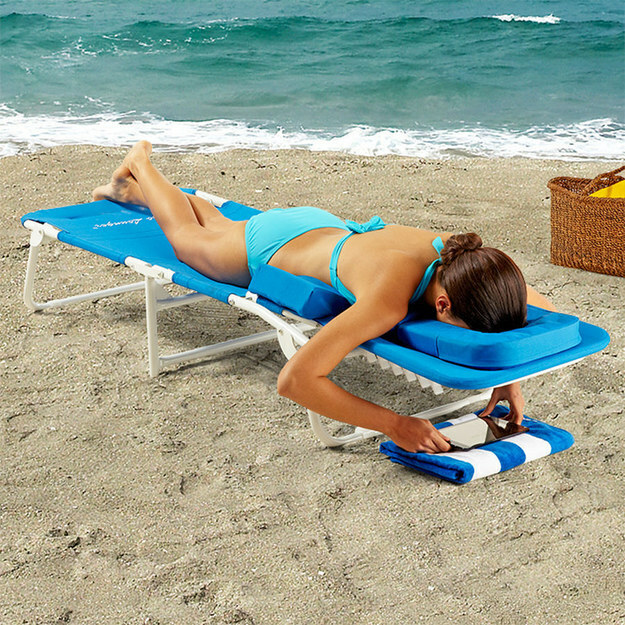 This Reading Lounge Chair from Brookstone helps you relax and get the perfect spread of sunshine on your back. 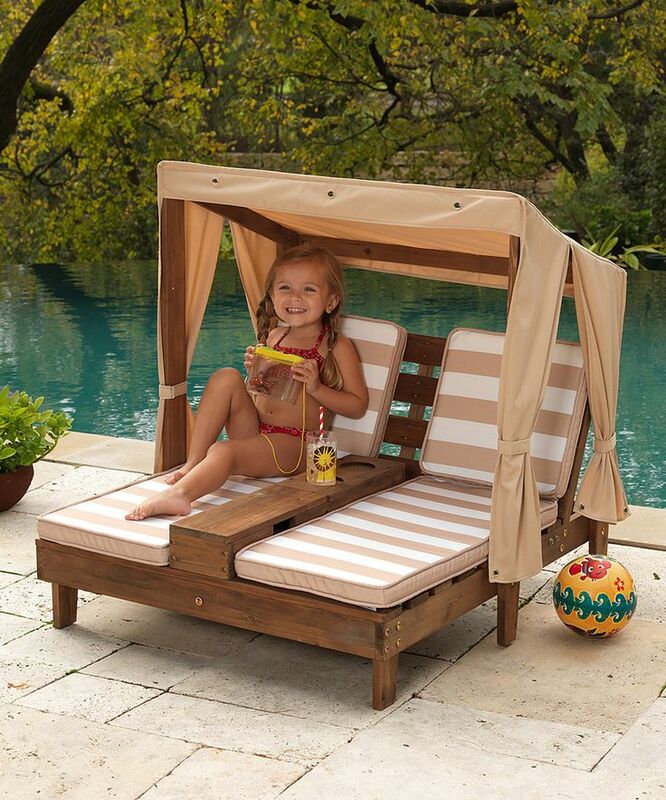 If you’re in need of something for the kiddos, KidKraft makes a wonderful lounger. It’s covered, so it provides an extra layer of protection from sunburn. Plus, there are convenient cup holders. Looking for a cheaper alternative for the young’uns? Take some inner tubes and cover them with fabric. 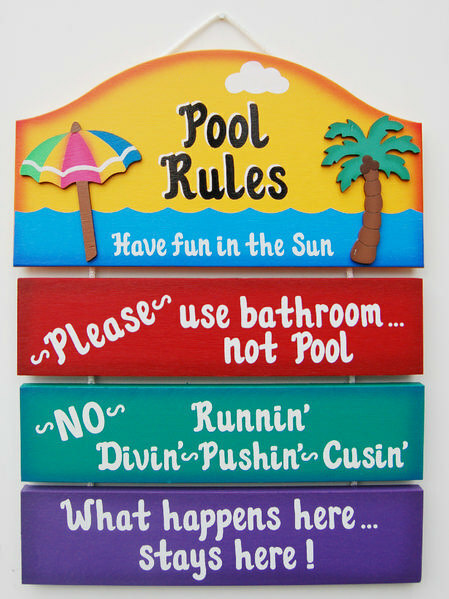 They’re colorful, can be thrown around, and will float if thrown in the pool. The Whoot has some directions. 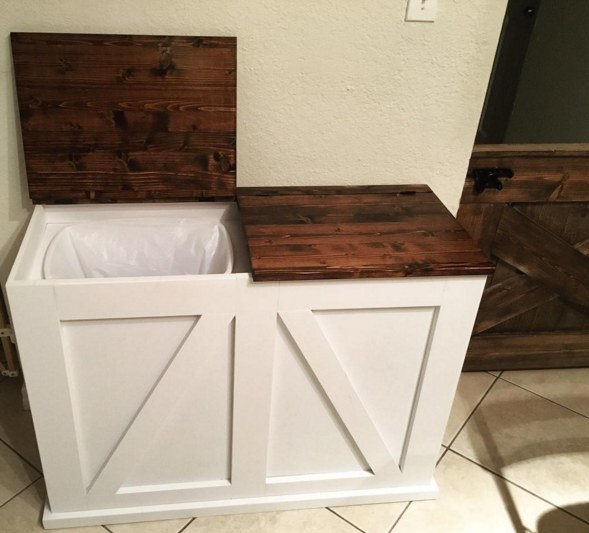 A Place for Trash, etc. 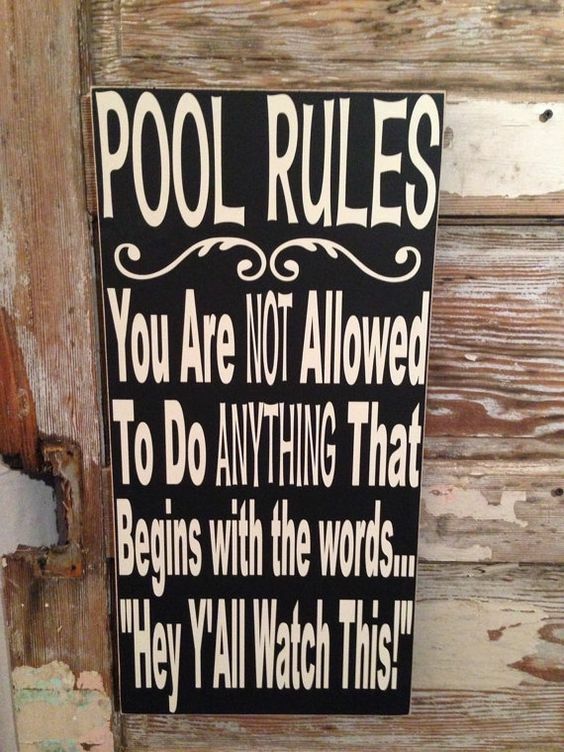 This DIY project from Ana White is a great project for the poolside. It’s covered, so it’ll keep bugs out of the trash. It also can be used for more than one purpose. Already have a trash/recycling can? 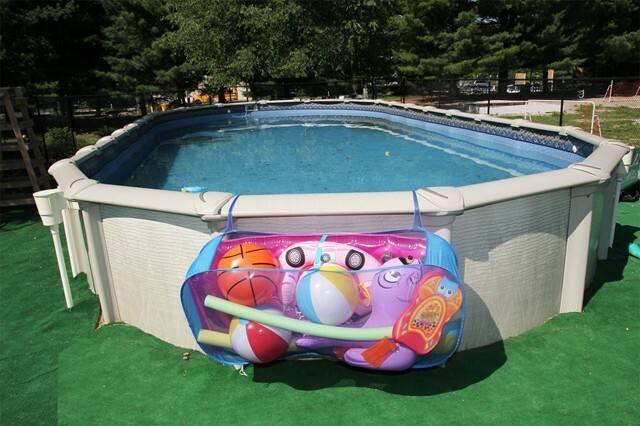 Use one side to store pool toys and the other for dirty towels. 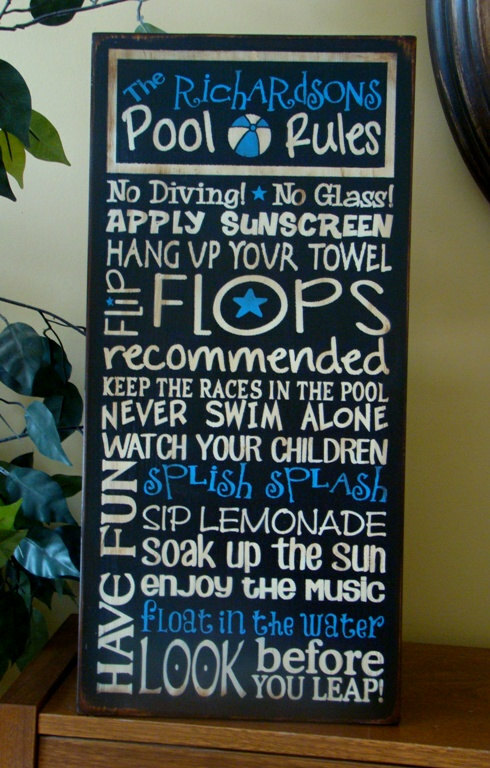 What is your poolside must-have? Share in the comments!